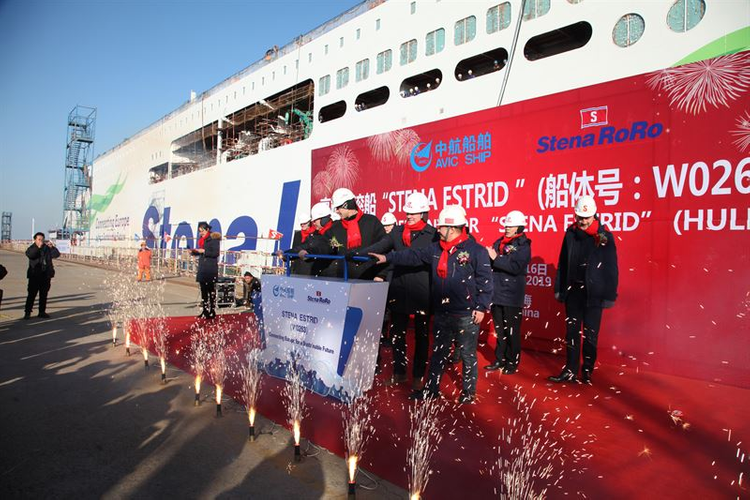 Stena Line has achieved a milestone in its fleet investment program with the launching ceremony of the first of its next generation of RoPax vessel taking place at the Avic Weihai Shipyard in China. 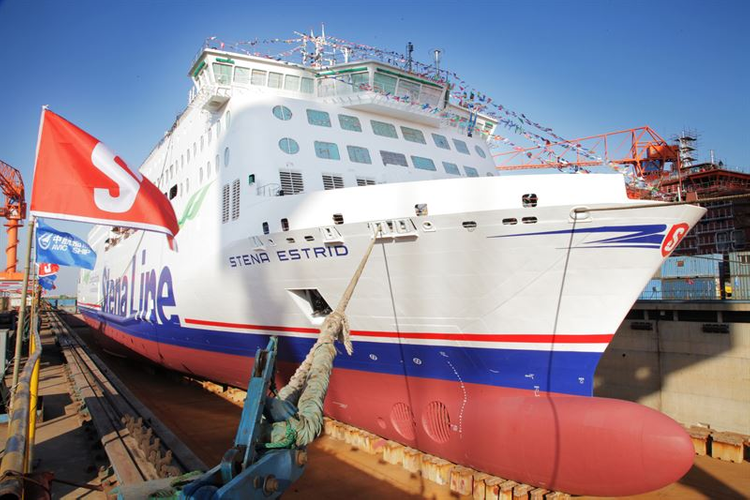 The first new vessel will be named Stena Estrid* and she took to the water for the first time on January 16, 2019, and is on schedule to enter service on the Dublin to Holyhead route in early 2020, the first of three new E-Flexer vessels bound for the Irish Sea by 2021. All three vessels that are being built for the Irish Sea will be larger than today’s standard RoPax vessels at 215 meters long with a freight capacity of 3,100 lane meters and the space to carry 120 cars and 1,000 passengers. This represents a significant multi-million investment by Stena Line and underscores our commitment to our Irish Sea operations and our determination to deliver the best possible freight and travel experience.